Speaker of the House John Boehner announced that he will resign from Congress at the end of October. Boehner faces the choice between avoiding a government shutdown by partnering with Democrats to pass a budget, which reportedly would lead to disgruntled Republicans bringing up a vote for his removal, or repeat 2013 by allowing a shutdown to take place with the hope of a quick resolution. With the first option apparently being the preferred route, Boehner chose to preemptively announce his resignation instead of risking a divisive vote on his fate. It’s widely believed that Boehner’s resignation significantly reduces the odds of a shutdown next week and that House Majority Leader Kevin McCarthy will become the new Speaker of the House. Chinese President Xi Jinping made a historic trip to the United States this week, meeting with President Obama and other senior officials to discuss a number of matters affecting the two nations. Chief among them, it was announced that both leaders have reached a ‘common understanding’ on steps to end cyber spying and attacks between the two countries. Jinping and Obama also unveiled a deal to build on an emissions agreement struck last year which outlined new steps China will take to slash their greenhouse gas emissions. Greek voters re-elected Prime Minister Alexis Tsipras and his left-wing Syriza party despite many citizens being enraged about Tsipras breaking an election pledge and ignoring the outcome of a referendum. Tsipras received 35% of the vote, while the New Democracy party’s Vangelis Meimarakis got 28%. Equity markets were volatile yet again this week, posting losses across most indices. The S&P 500 ended the week down 1.35%, closing at 1931. Similarly, the Dow Jones declined 0.43% and closed at 16,315. Year to date, the S&P is down 4.77% and the Dow is down 6.79%. Yields in the Treasury markets rose modestly this week. The 10 year Treasury bond now yields 2.17% while the 5 year Treasury bond now yields 1.48%. The spot price of WTI Crude Oil increased slightly in another volatile week. Prices rose by 1.00%, closing at $45.47 per barrel. In 2015, WTI Oil prices are down 22.66%. The spot price of Gold increased this week, rising 0.56% and closing at $1,145.65 per ounce. Year to date, gold prices are down 3.27%. Initial jobless claims came in at 267,000 which was a slight increase from the prior week’s figure of 264,000. The Labor Department noted that there were no special factors that affected the claims figure. The four week moving average for claims now stands at 271,750. New home sales increased by 5.7% month over month in August. This follows a revised up gain of 12.0% in July. New home sales have reached the highest level since February 2008. Three of the report’s four regions showed home sales increasing with the exception being the Midwest. Existing home sales declined 4.8% in August, disappointing against consensus estimates of -1.6%. Sales of both single-family homes (-5.3%) and condos/co-ops (-1.6%) showed declines. A survey conducted by Pew Research Center in 2014 found that 85% of Americans believe they are in the ‘middle class’ as opposed to being in the ‘lower class’ or ‘upper class’. *Image of Japanese Prime Minister Shinzo Abe. Author: 多摩に暇人. License: GNU Free Documentation License, also filed under Creative Commons Attribution-Share Alike 3.0 Unported, 2.5 Generic, 2.0 Generic and 1.0 Generic license. 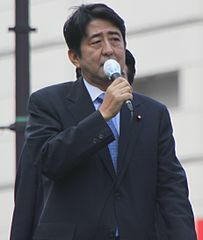 (See, https://commons.wikimedia.org/wiki/File:Shinzo_Abe.jpg). Sometimes mortgage terminology can feel like a foreign language. 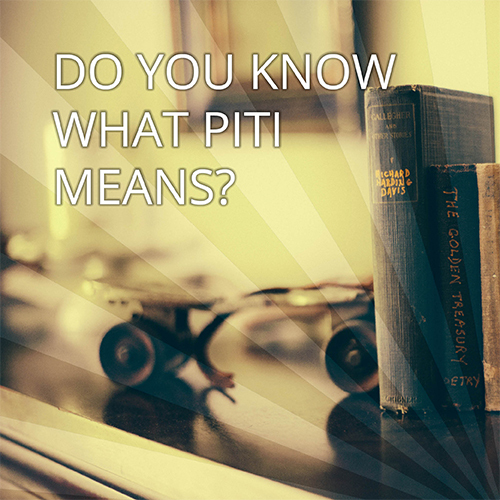 Find out what piti means by visiting our online glossary. Let’s face it, when accounts receivable start to build, it’s usually a good problem to have. It’s a sign you are doing something right. But, you can face as much as a 90- to 120-day delay before you collect on your receivables. Meanwhile, you still have to replenish inventory, possibly expand the workforce and gear up to meet increasing customer demand. This is what makes maintaining liquidity so tricky. This is also why we are excited about having a new solution to offer you: BusinessManager. It’s an online program accessible directly from anywhere you have Internet access. It can help keep your sales growing without the financial hiccups since it enables you to convert your receivables into cash. That cash is then deposited to your account on a next-day basis. But unlike a traditional receivables-based line of credit, the advance rate under the BusinessManager program is up to 90 percent. You simply enter the pertinent data from your invoices into the Web-based software. Once added to the system, the receivables are then automatically tracked and aged until they are paid by your customers. The advance your firm receives is also calculated automatically and made next day through a deposit to your Old Second checking account. Because of the tracking component, receivables reports are generated for you on an ongoing basis. The system is compatible with most popular accounting software programs, making integration into your operations fairly straightforward. The collection of your receivables is then made through a lockbox service managed at the bank. Click here to view our BusinessManager Infographic. As an accounting tool, BusinessManager does more than simplify the process of accounts receivable-based borrowing. It speeds the process to create a quicker turnover ratio. It also means that in addition to the improved cash flow and the freeing up of your staff’s time for other activities, you are better positioned to capitalize on new business opportunities. With access to cash, you can also take full advantage of supplier discounts when paying your expenses to lower your own operating costs. To get your receivables working harder for you, contact your lender to set up an appointment to learn more about BusinessManager and the other cash management strategies available at Old Second Bank. The long awaited Fed decision on Thursday left investors concerned about financial markets and international developments after they decided to keep interest rates unchanged. Janet Yellen made it clear that the Fed is concerned about the slowing global economy and the negative effect that it may have on inflation. The Fed also mentioned that they need to see “some further improvement” in the labor market before they raise the interest rates. There is still a possibility of a rate hike by the end of this year and the decision will be based on a wide range of economic data. House Republicans are expected to vote in the next few weeks to lift the ban on U.S. oil exports that has been in place for 40 years. The Obama administration does not support a house bill to do so, which leaves the decision to the U.S. Commerce Department. The Obama administration may see a repeat of 2013 next month as we may experience another government shutdown if lawmakers do not reach a budget agreement before September 30th. There are various other issues that are contributing to this such as Planned Parenthood, the Iran deal, leadership challenges, the Export-Import Bank and/or Highway Trust Fund. Japan’s credit rating for its $450B of debt outstanding has been cut by Standard & Poor’s to AA- from A+. Standard & Poor’s reduced the debt rating because of uncertainty regarding the ability of their government to revive economic growth and end deflation in the next few years. 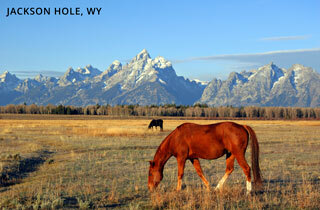 Equity markets stabilized this week ahead of the Federal Reserve meeting next Wednesday and Thursday. The S&P 500 ended the week up 2.10%, closing at 1,961. Similarly, the Dow Jones rose 2.10% and closed at 16,433. Year to date, the S&P is down 3.38% and the Dow is down 6.15%. Yields in the Treasury markets generally rose this week. The 10 year Treasury bond now yields 2.19% while the 5 year Treasury bond now yields 1.51%. The spot price of WTI Crude Oil declined in another volatile week. 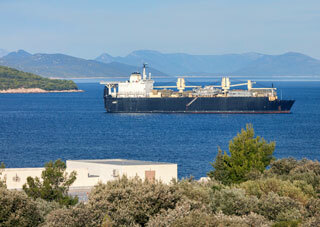 Prices fell by 2.85%, closing at $44.74 per barrel. In 2015, WTI Oil prices are down 23.03%. The spot price of Gold declined this week, falling 1.27% and closing at $1,107.65 per ounce. Year to date, gold prices are down 6.48%. Initial jobless claims came in at 275,000 which was a decrease from the prior week’s figure of 282,000. The Labor Department noted that there were no special factors that affected the claims figure. The four week moving average for claims now stands at 275,750. The University of Michigan’s consumer sentiment index showed a decline in the preliminary September report from 91.9 in August to 85.7. The decline was a reflection of deterioration in consumers’ assessment of current conditions and for future expectations, most likely due to recently falling stock prices and market volatility. According to the Federal Reserve, a $1 bill has an average life of only 22 months. Meanwhile, $5, $10 and $20 bills have average lives of 2, 3 and 4 years respectively. $50 and $100 bills both have life expectancies of 9 years. Finally, the Fed says that coins typically circulate for 30 years. Japanese Prime Minister Shinzo Abe has won a rare second three-year term as the President of his ruling party. Representing a rare period of stability in Japan’s often turbulent political arena, the news was welcomed with a rally by the Japanese stock market. Abe has pledged several initiatives in an effort to spur growth in the country, including cutting corporate tax rates from 35% down into the 20%’s. In another effort to battle its slowing economy, China’s finance ministry announced another stimulus measure this week. The government will cut taxes for small businesses and allocate more funds for infrastructure projects, including two railway projects worth almost 70 billion yuan ($11 billion). Things have changed. But, not in the way many potential borrowers think. Many still think it’s harder to get a mortgage than it used to be. Not necessarily. Despite the Financial Crisis of 2007–2008, banks have been helping homebuyers and owners take advantage of the low interest-rate environment all along. Even Millennials, despite their student debt loads, have been getting approved for mortgages. It’s also still possible to get a mortgage with a down payment of less than 20%. And, first-time homebuyer programs that provide money for down payments may even make it a little easier to afford a new home than in 2008. Since the crisis, the process of applying for a loan has improved. Many lenders, Old Second included, have made initiating a loan request even easier, leveraging online and mobile technology for applications, document gathering and communication. But, the biggest change involves the way an application is now processed. It takes longer…much longer. What could be done inside of 30 days in 2008, may now take longer. 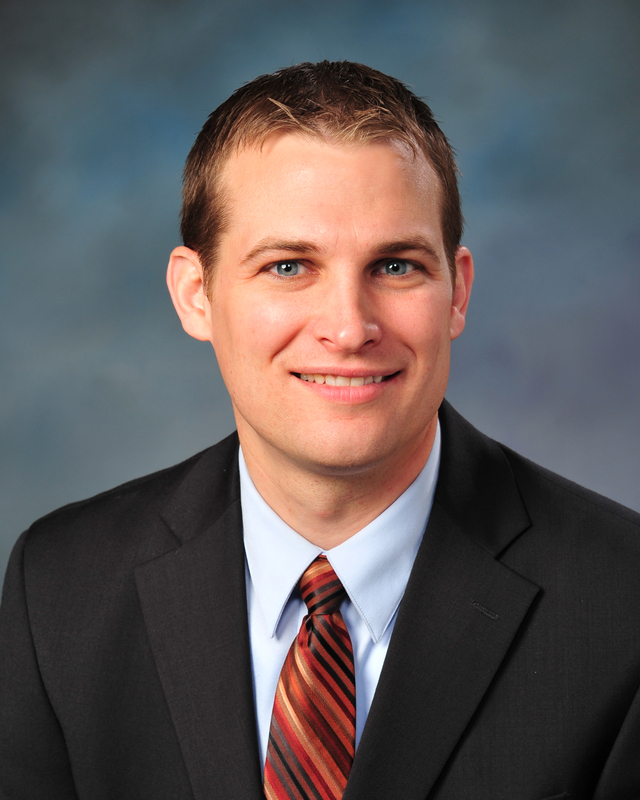 No home loan lender is immune—we are all subject to the same regulations. And, it’s about to get a little worse. Whether you are a first-time homebuyer or an experienced homeowner, in the aftermath of the financial crisis there has been a return to the kind of lending standards—operational checks and balances—that most of us have used to apply to loans for decades. Those standards require time to analyze and verify that each mortgage applicant is qualified for and entering into the right type of loan for their financial circumstances. As of Oct. 3, a new rule from the Consumer Financial Protection Bureau, “Know Before You Owe,” will take effect. It is intended to offer additional protection by ensuring you understand the terms and consequences of your loan agreement at closing. This new rule will add a few more days to the closing process for all mortgage lenders no matter how automated their internal processes are. While a degree of patience has re-entered the mortgage process, we believe it ultimately ensures that you’ll gain full advantage of our expertise. Whether it’s a 30-year fixed mortgage, an adjustable rate, a line of credit for remodeling or a refinancing into a 15-year loan that will help you retire mortgage-free, our goal is—as it’s always been—to make sure you enter into the right financing structure. Following the Federal Reserve’s annual economic policy conference in Jackson Hole, Wyoming last week, investors are still divided over whether the U.S. central bank will hike rates at their September meeting. With Fed Chairwoman Janet Yellen absent, Vice Chairman Stanley Fischer was careful to announce he wasn’t signaling an impending rate rise but his remarks at the summit suggest a September move hasn’t been ruled out. The mixed data from August’s employment report adds further uncertainty to the timing of ‘liftoff’. China’s markets remained volatile early this week before closing for Thursday and Friday’s sessions due to a giant military parade marking the 70th anniversary of the end of World War II. Meanwhile, China’s government is on the hunt for ‘confessions’ as nearly 200 journalists, traders and officials have been punished in a ‘special campaign’ to root out those accused of market destabilizing activities, such as reporting drops in the Chinese stock market. Equity markets trended downward again this week. The S&P 500 ended the week down 3.36%, closing at 1,921. Similarly, the Dow Jones fell 3.21% and closed at 16,102. Year to date, the S&P is down 5.35% and the Dow is down 8.04%. Yields in the Treasury markets fell this week. The 10 year Treasury bond now yields 2.13% while the 5 year Treasury bond now yields 1.47%. The spot price of WTI Crude Oil gained a bit in another very volatile week. Prices rose by 1.04%, closing at $45.69 per barrel. In 2015, WTI Oil prices are down 21.40%. The spot price of Gold declined this week, falling 1.04% and closing at $1,121.85 per ounce. Year to date, gold prices are down 5.28%. Initial jobless claims came in at 282,000 which was an increase from the prior week’s figure of 271,000. The Labor Department noted that there were no special factors that affected the claims figure. The four week moving average for claims now stands at 275,500. The monthly non-farm payroll employment report showed a gain of 173,000 jobs in August, less than consensus estimates of 218,000. June and July’s employment additions were revised upwardly by a combined 44,000. The headline unemployment rate dipped to 5.1%, from 5.3% in July. Meanwhile, the labor force participation rate was unchanged at a still historically low 62.6%. Average hourly earnings surprised to the upside, showing a gain of 0.3% in August. This brings the one year rate of earnings growth up to 2.2%.